So far the hat was seeing moms and imposing. Now the fashion highlights more discretion and refinement and offers an alternative lightweight headband style caps, headband with feathers worked, or a pretty silk flower attached to a hair comb. The latest fashion favorite place to reserve a head of jewelry: hairpins worked, rhinestone headband, barrette or spade jewelry that sparkle in your chignon hairstyle with elegance and style. An additional hint: if marriage is chic and fashionable, wear a hat! Consistent color with your wedding outfit with feathers or flowers, or brimmed with a veil, the Paule Vasseur hats perfectly accord to your desires and your ceremony tailor. For a more intimate ceremony simply opt for a headband or head jewel. In all cases, a hat or hair accessory refined finish your wedding outfit. 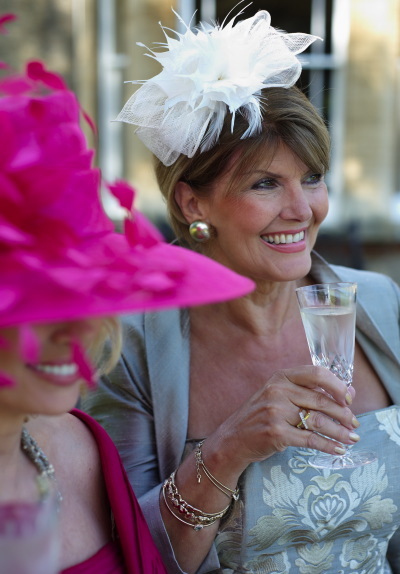 Remember the occasions to wear a hat and a sophisticated hairstyle become scarce and mostly choose based advice milliner or our sales consultants.